Paris - Two gay rights groups on Tuesday filed legal complaints against former France and Manchester United defender Patrice Evra over insults directed towards Paris Saint-Germain players. Evra used a French homophobic slur while taunting PSG for their shock Champions League defeat by his former club. The complaint, for public insults of a homophobic nature, was lodged with the Paris public prosecutor by two groups, with the support of former amateur club Paris Foot Gay. 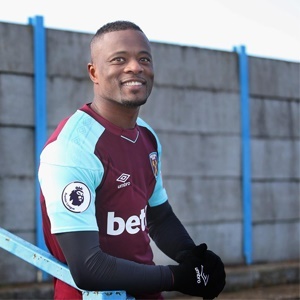 Evra made the comments in a video posted on social media, saying: "Paris, you are queers... Here are the real men doing the talking." The 37-year-old Evra defended himself on social media after the incident, saying that "he loved everyone" and was not homophobic. "The words of Patrice Evra, which contrasted 'queers' with 'real men', show a homophobia commonplace in the world of football," Etienne Deshoulieres, a lawyer for the group, said in a statement. "This is unacceptable from a former France captain. It must be firmly condemned," he added. Evra made 81 appearances for his country.